Brisbane indie-pop band The Worriers have been crafting a formidable live show up and down Australia’s east coast over the last eighteen months. With their sights set on a debut EP later in 2014. 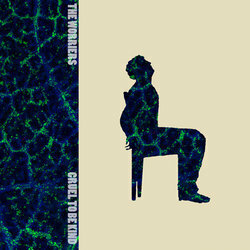 The Worriers are proud to announce the release of their 2nd single ‘Cruel To Be Kind’. Since forming at the start of 2013, The Worriers have already performed extensively throughout Queensland and New South Wales, sharing stages with the likes of The John Steel Singers, Go Violets, Hey Geronimo, Tin Can Radio, Velociraptor and The Griswolds,. The Worriers’ new single is the leading track from their forthcoming debut EP - The Worriers Ruin Everything – due out later this year.